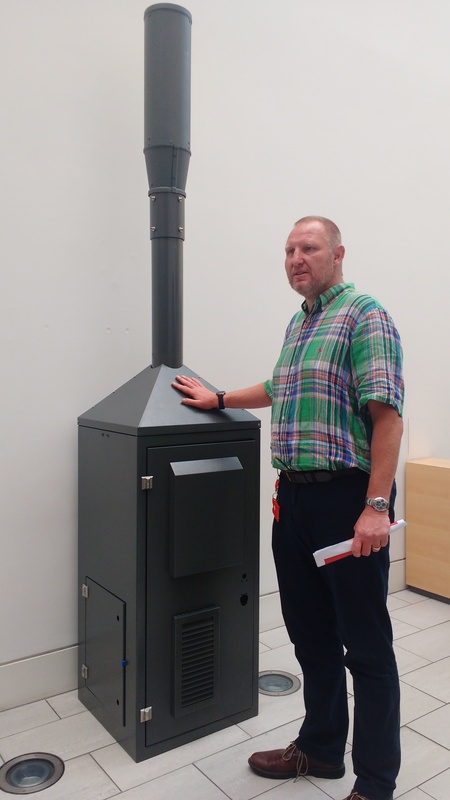 With the UK sauntering towards the connected era, Vodafone took the opportunity to debrief us at its Newbury headquarters on its two latest 4G developments; Massive MIMO and Mini Macro. The first bit of tech we were briefed on, Massive MIMO, is one which has been doing the buzzword bingo rounds recently, though the realities of the technology are yet to be seen. No more is this the case, Vodafone told us, as the operator says it has already deployed two in secret locations somewhere in the UK. The technology itself works on the basis of increasing the number of antennas which are available, to improve the sensitivity of the site. 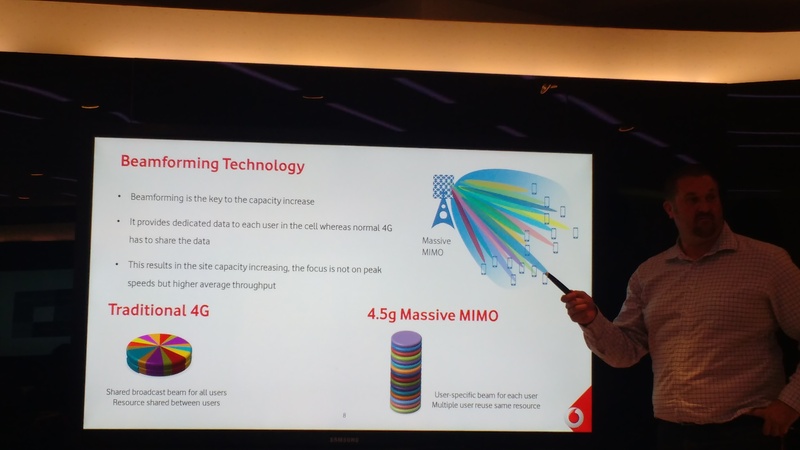 The industry on the whole is moving from 2T2R (two Transmitters/ two Receivers) to 4T4R antennas in a bid to improve coverage and capacity, though Vodafone has highlighted the 64 element arrays from Huawei is the next step on the road to 5G. This is all enabled by a technique called ‘Beamforming’ which essentially allows operators to essentially creates a connectivity sphere around users which allows users to increase average throughput. With the improved sensitivity on the antennas, operators will be able to improve the experience for users using the higher spectrum bands. It’s also exceptionally easy to deploy. As long as there is a power and fibre connection, it is essentially ‘plug and play’. So why is this not a fixture of our everyday lives? This is essentially going to be around very concentrated areas, such as cities or venues, to allow for an improved experience where otherwise it might be woeful. The team currently have two up and running in the field, another one which is on the way, and an additional 20-30 over the short- to mid-term future. On the smaller side of things, the Macro Mini (see the image to the right) is an area which has been under development for some time. The theory here is relatively sound. Take all the various components of a base station, transmission, power and radio equipment, and put them into one box. It’s smaller, less visually offensive, cheaper and more power efficient. A useful little breakthrough. While it does sound like a simple idea, getting the cooling system right has been causing issues in the development stages. Due to the dimensions being somewhat smaller than a traditional base station, coverage and capacity are also smaller. But that’s not an issue, as this is a development which has been made with a very specific use case in mind; areas with bad coverage in the UK. A prime example would be a village in the middle of the countryside with around 1000 residents. The Macro Mini is preconfigured during manufacturing, so all you would need is a big crane, a bit of cement, power and fibre connections, and you’re away. A previously unconnected area is now connected. Another advantage is the size, roughly eight foot, therefore it would not come under the same planning permission scrutiny as a traditional base station. So it would appear not everyone has forgotten about 4G in the rush for speed. Vodafone is going big (and small) to change past perceptions of its network.